Pearl Lake Ancient ($0.29) Price History from major stores - Khans of Tarkir - MTGPrice.com Values for Ebay, Amazon and hobby stores! 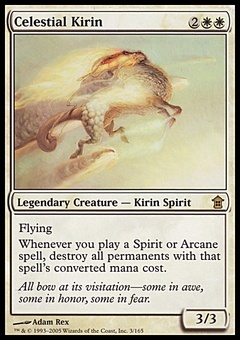 Card Text: Flash Pearl Lake Ancient can't be countered. Prowess (Whenever you cast a noncreature spell, this creature gets +1/+1 until end of turn.) 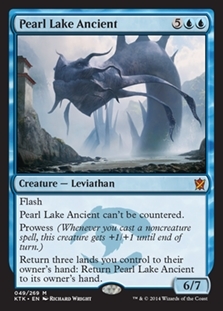 Return three lands you control to their owner's hand: Return Pearl Lake Ancient to its owner's hand.